What's on at the HIGHPOINT? The Highpoint Gallery exhibits artwork in both the Blackburn Gallery and Event Space, and the halls of the East Wing with new shows installed on a quarterly basis. Gallery hours vary by show and can be seen on the Highpoint Arts event page. 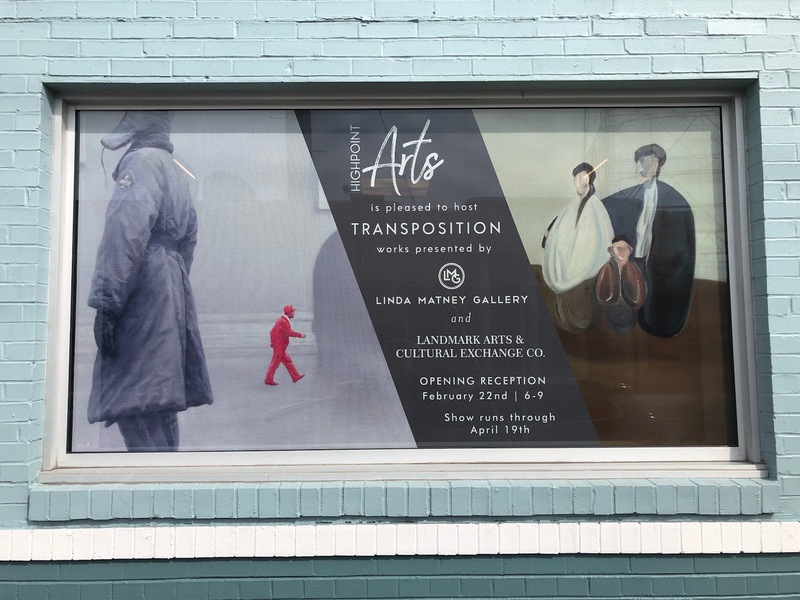 Transposition is a collection of pieces curated by Linda Matney Gallery in conjunction with Landmark Arts & Cultural Exchange, an American group that helps coordinate opportunities for important contemporary arts and artists to travel between countries and facilitates for meaningful cultural exchange. More information on the facebook event page and Linda Matney Gallery. Highpoint artwork will be available for purchase with the artist taking 75 percent of the sale, as the Highpoint believes the time and materials an artist puts into their work warrants compensation beyond current industry standards. Understanding that buying art can be a major purchase for most people, the Highpoint encourages people interested in work to approach us with inquiries so that we may better assist them. For art curated by other galleries, contact them for more information. Located at 3300 West Broad Street on the corner of Broad and MacTavish, the Highpoint is an Art Moderne structure with curved forms and long horizontal lines. It was originally designed by Louis W. Ballou in 1939 to first house Curles Neck Dairy Sales & Distribution. A stone's throw away from Carytown and the I-95/64/195 nexus, the Highpoint is conveniently located for all of the Richmond Metro area. Most of the downstairs is wheelchair accessible, with 4 bathrooms and 1 disabled parking space available in the rear of the building. Walkability score is 84 and very bikeable, with racks in the back and on the side of the building. Parking is on-street in the area around Scott's Addition. Get walking, biking, bus, and driving directions with google maps. 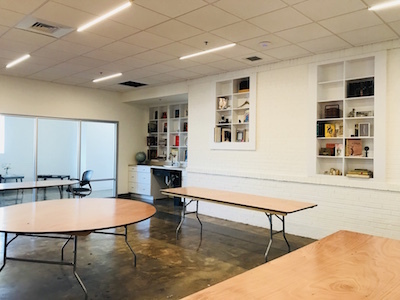 The Highpoint in Richmond, Virginia, is a community offering dedicated offices, workshops, workspaces, and studio spaces for creative professionals. 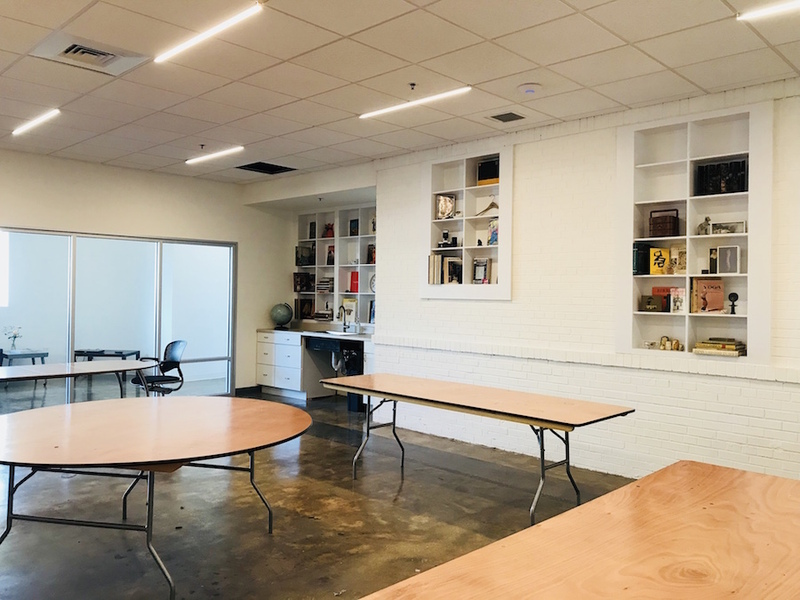 The newly renovated building has 16,000 square feet over two floors, with studios ranging from approximately 100 sq ft all the way up to 1,700 sq ft. It has been designed with a variety of spaces to fit the needs of tenants ranging from artists to architectural firms. People who come to find their professional home at the Highpoint are renting more than just a space, they are investing in a place that is owned, operated and occupied by like-minded professionals who understand their needs for stability and a safe, convenient location. It is a place where people can grow their business in an environment where community is cultivated through relationships and time. Currently all of our long-term rental spaces are leased. To keep updated on potential vacancies in the future, you can follow thehighpointrichmond on Instagram and facebook. See a list of the Highpoint Richmond's tenants below. 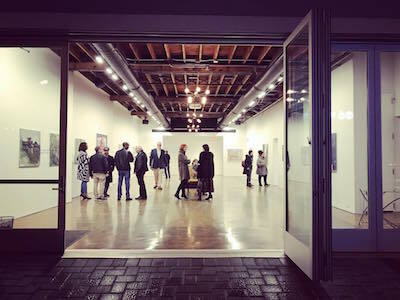 Our unique event venue and gallery is available to rent for special events, product launches, film viewings, musical recitals, photography shoots, yoga and more. The 1,800 sq ft ground-floor space may be booked for up to 100 guests. 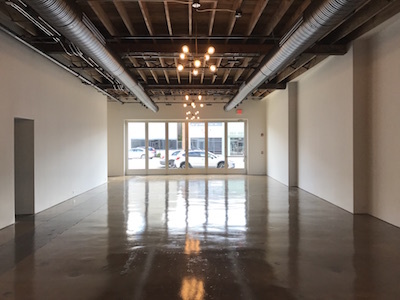 The space is wheelchair accessible, and features state-of-the art audio/visual equipment and a folding glass wall that opens onto a wide sidewalk on West Broad Street. Our brand new commercial kitchen is included in your rental for use during events. The Gallery and Event Space is on the left in our ground floor plan, with the kitchen behind it. Our 706 square foot classroom is available to rent by the hour for classes, lectures, meetings and presentations. It features a large glass wall opening to a lounge area, and is wheelchair accessible. The space includes a sink, tables and chairs, audio/visual equipment, and a variety of basic supplies. 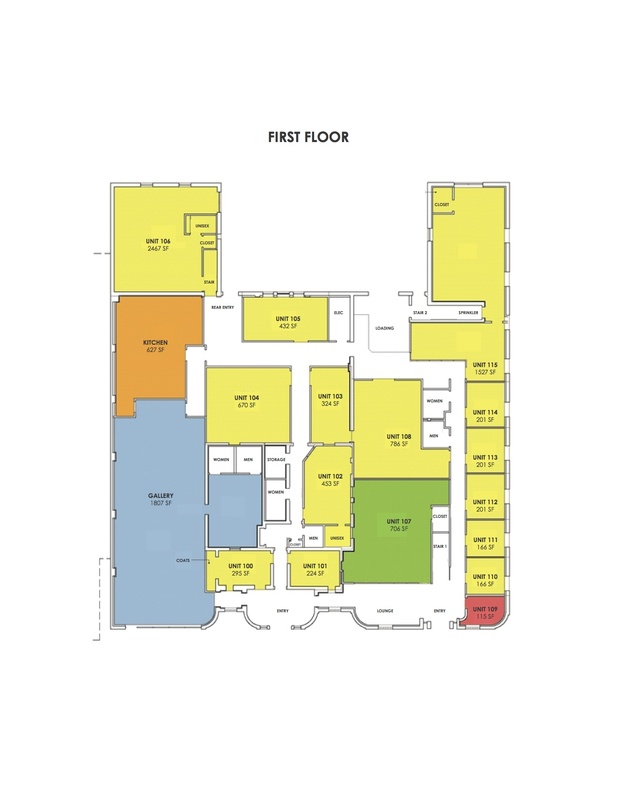 The Classroom is Unit 107, in green, on the ground floor plan. 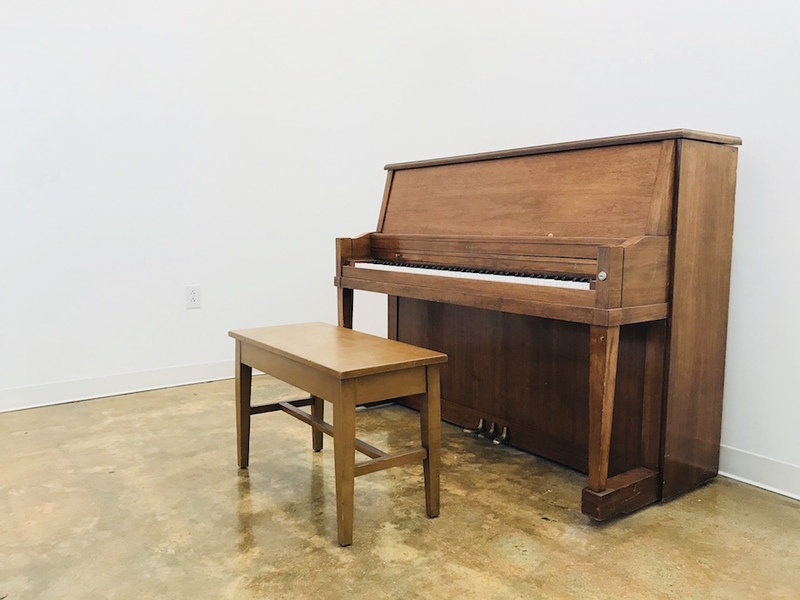 Our 100 square foot, soundproofed practice room comes equipped with a piano and is an ideal space for music lessons and rehearsals. It is not suitable for band practice. Available for hourly rental. Students arriving early for lessons have a comfortable, well lit lounge area with table nearby. It is unit 109, on the right in red, on our ground floor plan. Rates for all the hour and day spaces can be viewed in this pdf. For availability and more information, please contact Claire at claire@thehighpointrichmond.com. Unit 204 - Communication Design, Inc.
Watch The Highpoint Richmond youtube for features on the building and the tenants of the Highpoint. 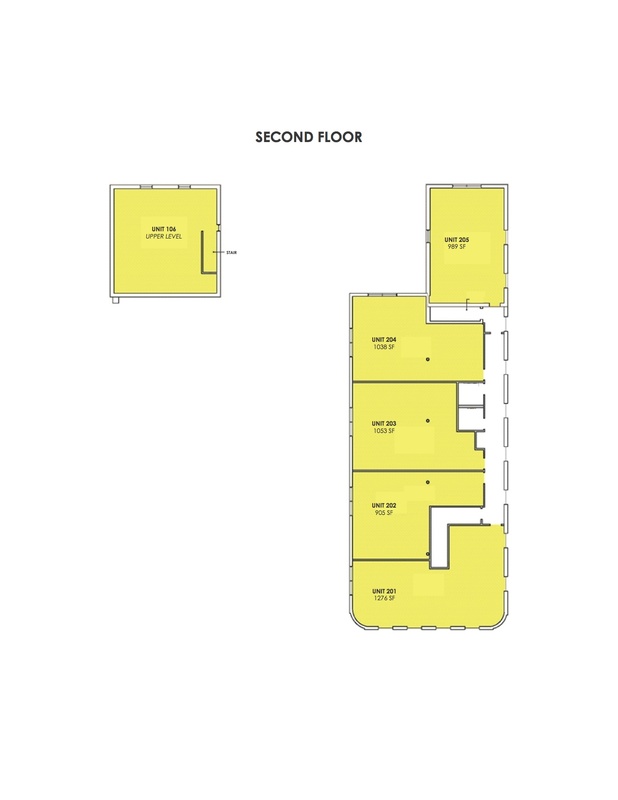 See our ground floor plan or upper floor plan for locations. When confronted with the prospect of skyrocketing rent in an aged warehouse located on the corner of Highpoint Avenue and Moore Street, business owners Robert Olson, Claire Accardo and David Morrison sought to purchase a permanent location so they could keep a sustainable, professional presence in the centrally located neighborhood they came to know and love. Upon acquiring the former Sea Dream Leather building, they found an ideal base of operation with plenty of space to share. 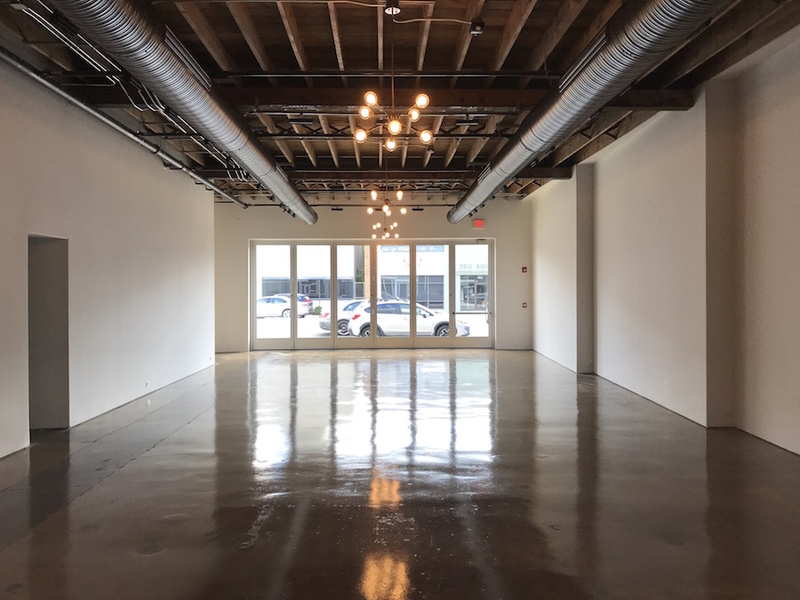 From this sprang the concept of the Highpoint: a top tier location where creative professionals can grow and maintain a business venture within the heart of the city.